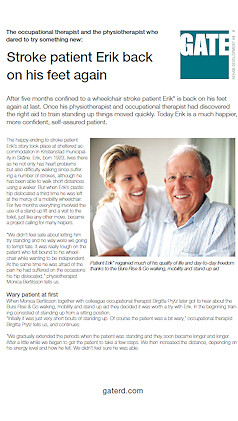 Flexible widening combined with the lower height above the walking frame enhances versatility regardless of the patient’s situation in hospital or at home. The new Bure Double is equipped with twin electric drives for raising and lowering the walker and widening the walking frame. Flexible, extra high hygiene chair with electrically adjustable height and tilt. Supreme comfort and minimal strain. Robust, electrically operated hygiene chair with extra space and strength to accommodate the heavier user. Can handle 250 kg. GATE is a distributor of healthcare products from leading manufacturers such as Stryker and we also develop high-quality products with new solutions to old problems. Contact GATE′s customer service on +46 371 318 00, Mon-Fri 08:00-17:00. 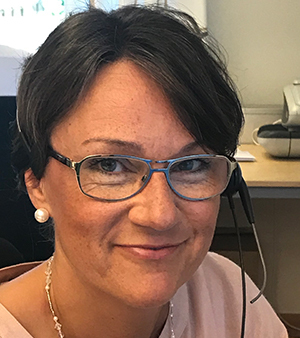 For urgent matters call our 24-hour line on +46 371 338 99. Communications channels at GATE are short and telephone switchboards non-existent. 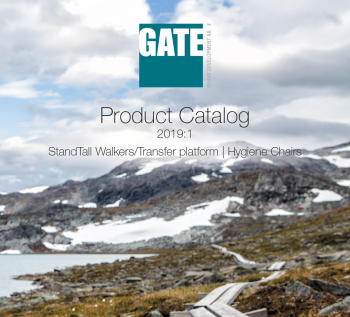 In our product catalog we have gathered our entire range of walker and hygiene chairs. 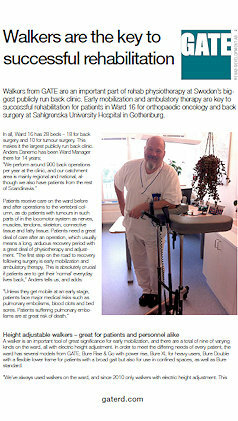 Read it online in English or German. 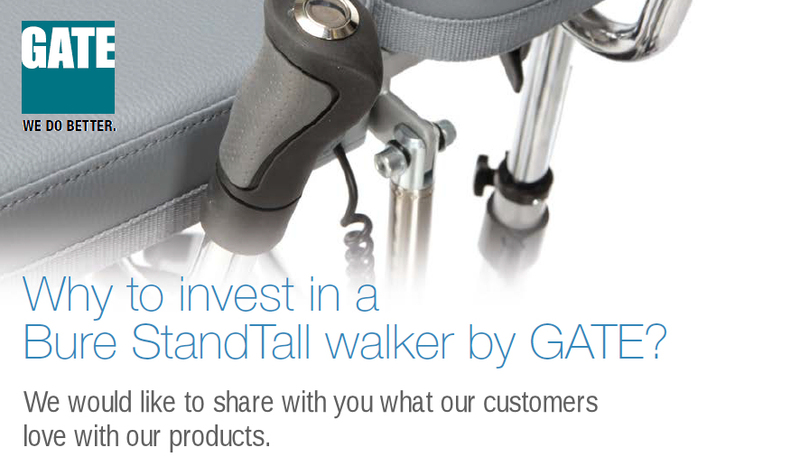 Watch our short product videos about GATE′s StandTall Walker, stand-up aids and hygiene chairs and get tips on new solutions, circumstances and opportunities for both patients and carers. Gate (production) will be closed for Christmas holidays from 22nd of December 2017 to 7th of January 2018. But you can still reach us at +46 371 31800. Merry Christmas and Happy New Year from the Gate team. Karolinska University Hospital in Stockholm uses Bure walkers from GATE on a regular basis as an aid on the maternity ward. 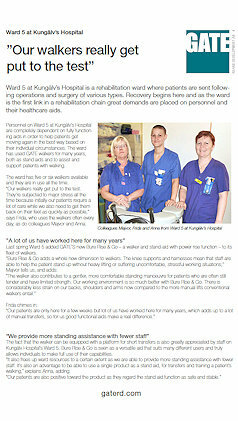 Walkers make it easier for mothers in labour to move around, breathe and relax.